It's Release Day! 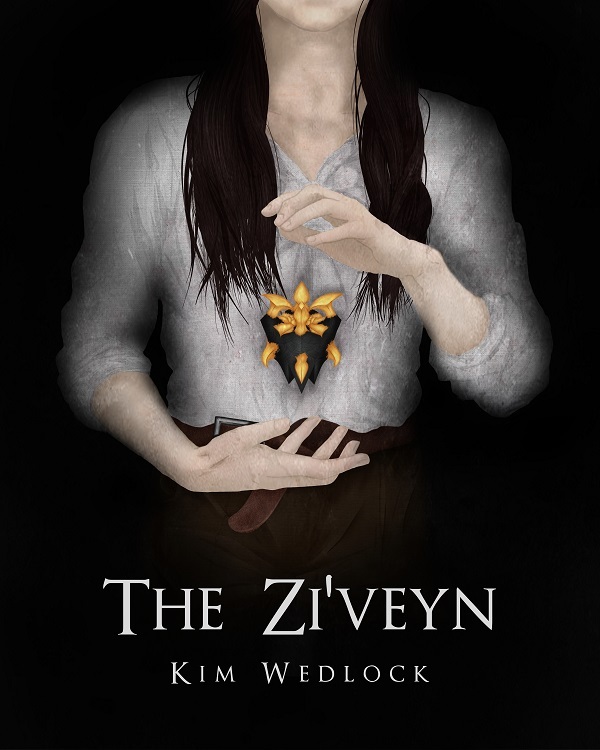 | A Blackbird's Epiphany - UK Women's Fitness and Fantasy Writing Blog: It's Release Day! I'm so excited!! It's such a huge feeling! It's not my first book, but I feel no less buzzy about it than I did 2 years ago. To have two years' worth of work culminate into a book release, it's the most rewarding thing ever. I couldn't sleep last night, and I've felt sick with excitement and nervousness for days. It's available on Kindle for £1.99/$3, or Kindle Unlimited for free for those who subscribe to the prolific reading service. It's also on paperback for the painful price of £13.50/$22 - print-on-demand; rest assured it's definitely not greed on my part :(. Otherwise, you can read chapter 1 & 2 for free on the Kindle product page. I will admit, though, that it hasn't all gone the way I've wanted it to. It's proven very difficult to find willing book bloggers. I totally understand their aversion to self-published works for review - it will cost them time, and time is valuable, and a self-published book is statistically more likely to be a pile of rubbish than a traditionally published book, but - read on - there are so many reasons to be rejected by a literary agent that have nothing to do with writing quality. A literary agent can reject you for any number of things. The first to come to mind is that the book is rubbish. Fair enough. But then there are many more reasons that can lead to the rejection of something that could well go on to become a best seller. The market may not be quite right; the story could be too radical or new; it could be that, based on the first chapter or three that they read, as is the standard practice, it appears too similar to other things on the market whether there's a unique twist or narrative or not. It could also be rejected because they're not taking on any new clients at that time, or that they don't handle that genre (so you should always check agents' websites and twitters to find out what they're doing), or that they just don't have the contacts to take your particular use of their approved genre where it needs to go to be worth either of your time. And there are many more besides. In short, every writer really needs someone to take a huge chance on them. So, while it hasn't started the way I'd have liked it to, I genuinely believe it's worth everyone's time. I'm very, very hard on myself all the time, but even after all of my second- third- and sixteenth-guessing, I still believe it's worth reading. I would not have self-published it and put it out there in front of the masses where I can so easily be shot down, ridiculed and slated. But I did get great feedback and compliments from the agents who actually responded (which they're not actually supposed to offer unless they're considering taking it on), and was told that it was both very enjoyable and very unique. But the trouble with a literary agent's job is that they make no money until I do - ie, when the book actually sells. And it takes a lot of work on their part to get a book into that position, so most agents only take on one or two new writers a year, and every time they do, it's a huge risk - potentially a lot of time and work for zero reward. Now consider how few literary agents deal with fantasy, and you see my dilemma. And the other side of the coin, of course, is that self-publishing is too easy. Anyone can do it. Which means that the world of Kindle is, for the largest part, a slush pile. No one is interested in us because we could well be awful. If we were any good, we'd have an agent and have gone the traditional route, right? If you said 'yes', read that first paragraph again. If you still say 'yes', then I can't argue with you because I'm of the same mind. I'm not interested in self-published books because, odds are, they're awful. The ideas could be under-cooked, they could be repetative, they could be ridiculous; the writing could be equally half-baked, unproofed, unformatted, void of all paragraphing; the spelling could be...painful. The thing is, I genuinely believe that my work is worth your time and their time, but none of the nine agents have seen fit to give me a chance, and I completely understand and respect that. I don't like it, but I understand it, and that's what counts. But, see, everyone else who has self-published doubtlessly thinks the same thing, and I'm shouting as loud as they are. I have to let my work do the talking - but I have no idea how to get it out there. That's another area a literary agent handles. Marketing and distribution. I haven't the foggiest. So I'm looking for fantasy book bloggers to give it a read and write a review, or for a few reviews on Amazon, or even just a few organic mentions on twitter or Instagram. But I don't know where to turn for it. Advertising has always been my weak point. But enough of that. It's release day, and I'm happy. Whether it's traditional or not, it's out there, and I'd love you all to read it. 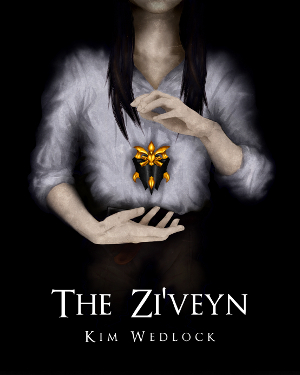 Get The Zi'veyn on Kindle, or on your Kindle App (free and usable on smart phones, tablets, laptops, PCs, Macs, etc) for £1.99, or free with Kindle Unlimited. Paperback is, regretfully, £13.50. Another issue with self-publishing is everything being print-on-demand and Amazon being penny-pinchers, but I'd rather it was available as an over-priced paperback (for which, I must point out, I only make 50p from) than digital-only. I'm hoping to be able to offer some proof copies for reviewers, but at this point in time, I can only offer reviewers digital copies. If you'd prefer a paperback, let me know and I'll add you to a list. When I'm able to afford it, I'll start contacting.